Soft Comfort CorPaks are the perfect solution to help relieve strains, sprains, headaches and other soft tissue injuries. These versatile packs can be warmed in the microwave to help relax muscle and increase blood flow or cooled in the freezer to help reduce swelling, reduce blood flow and promote healing. 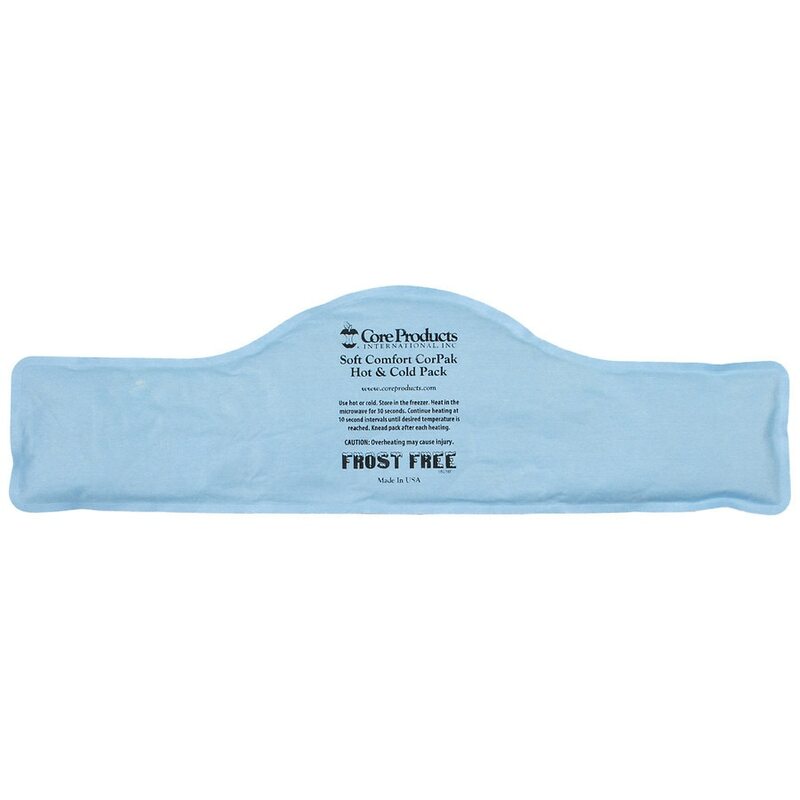 Our soft, frost-free pack is gentle on skin and does not need to be wrapped in a towel. Soft Comfort CorPaks have more fill than traditional packs to retain cold and heat longer. Long-lasting, reusable and filled with nontoxic, biodegradable fill. Customized packs can be used as promotional giveaways for customers (call for details) or can be sold as the perfect hot and cold pack.